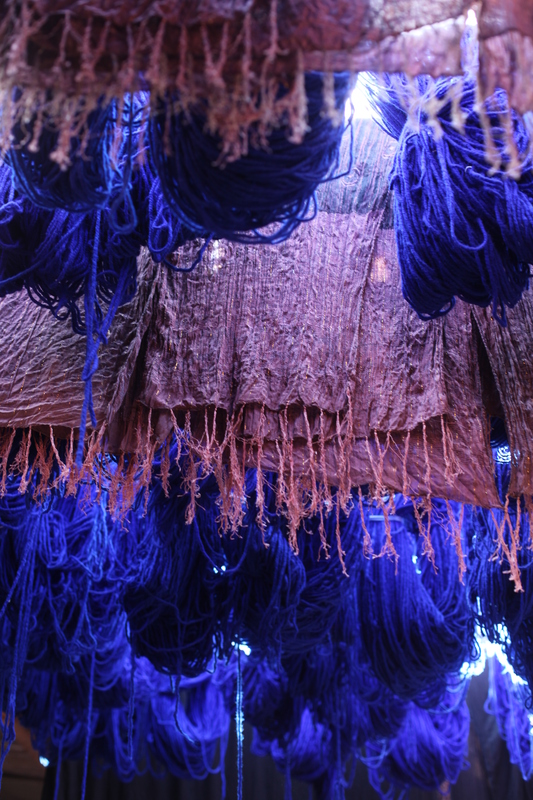 The sun is blocked out by the blue yarn hanging from the ceiling of the souk. Sellers scurry back and forth trying to tempt tourists in for a sale. 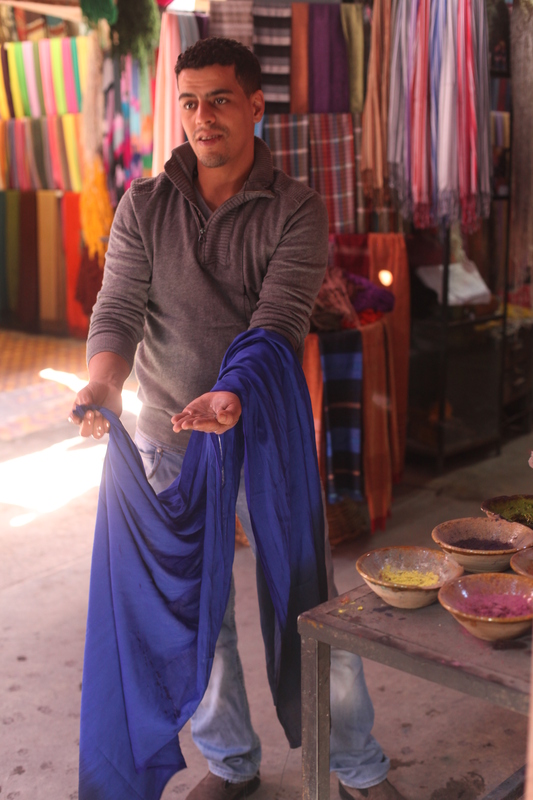 The dyers use both natural and synthetic dye to colour the cloth. The colour of the dye may be deceiving! 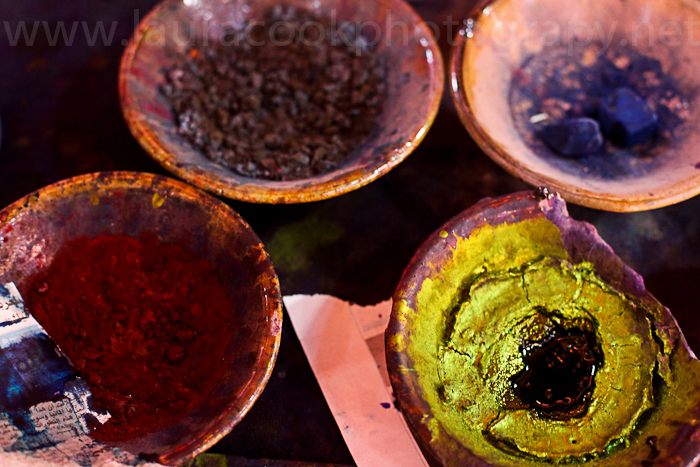 The gold dye creates a deep purple hue. 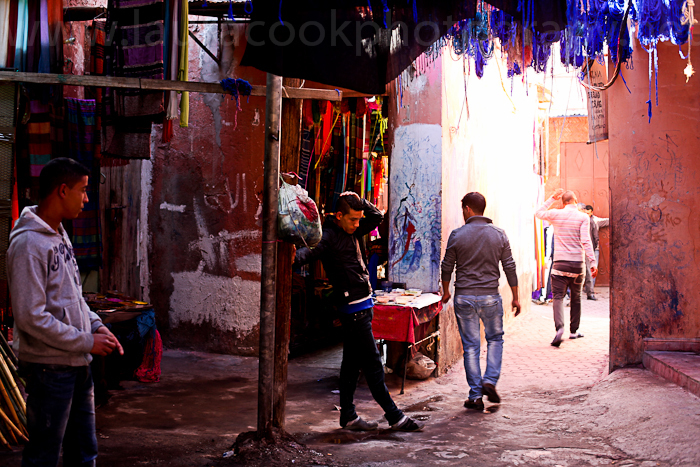 If the medina of Marrakech was to be summed up in three words they would be ‘sell,sell,sell’! 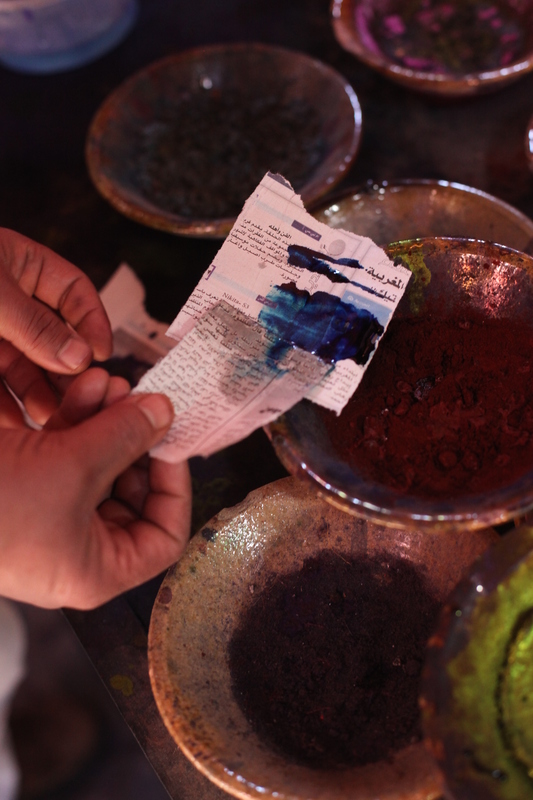 We left the souk with empty hands but camera cards bursting with colour. One hundred shades of blue curtain our exit. 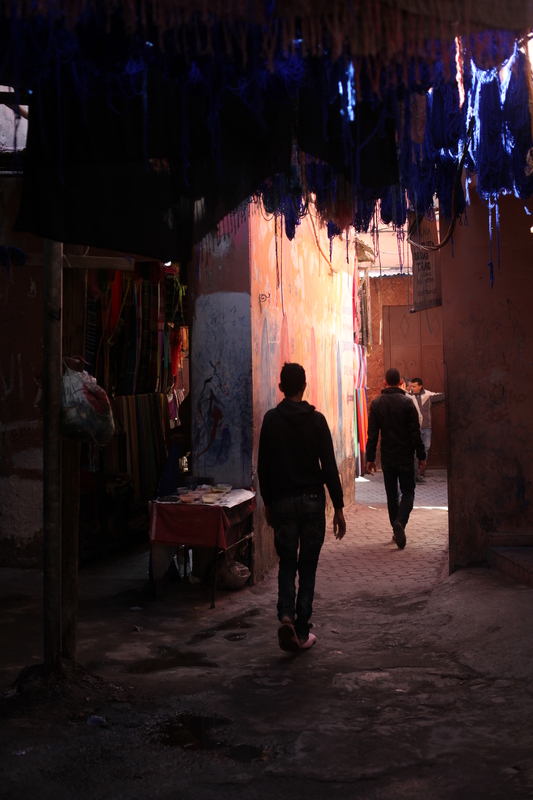 I recommend finding this souk should you find yourselves pounding the streets of Marrakech’s traditional bazaar, just be ready to handle the haggle! 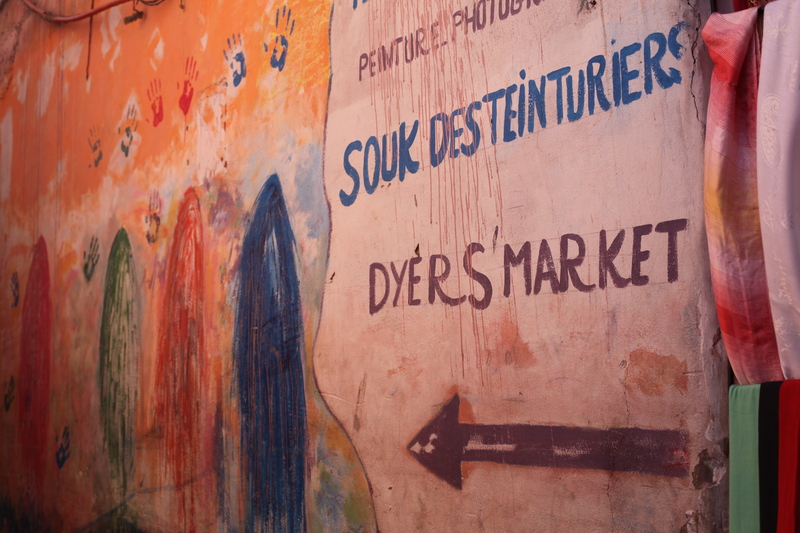 Delightful photographs of the dyer’s souk. So colourful and intense. I particularly like the close-ups of details. Thank you! It was a pretty intense place too – glad some of that came across. Fascinating images of an ancient craft – well captured!